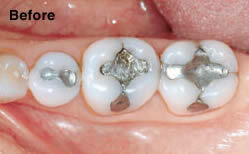 Dental Implants are designed to replace missing teeth with feel, look and function like natural teeth. Our doctor has sound surgical skills and artistic talents to place dental implants that are strong and natural-looking. Our doctor is graduated from the prestigious dental institution (New York University) in the country. With over ten years of clinical experience, our doctor has provided the best dental services to his patients with utmost care. Our doctor comes from family of doctors and he practices high standard of dental care. We listen to your needs and use comprehensive treatment planning to provide quality dental restoration to achieve your best dental health. Should a dental emergency occur, we make every effort to see and care for you as soon as possible. We are a true believer of comprehensive dental health care. We believe that dental health can affect your overall health and also vice versa. We would thoroughly check your teeth and your gum, perform oral cancer screening, demonstrate proper brushing and flossing techniques. Also, we would review your medical history that would affect your dental health. Patient’s health safety is very important to us. We strictly maintain sterilization and cross-contamination prevention processes. We have automatic computerized sterilization machines using high pressure and high temperature to effectively kill off bacterias. Our water sources are self-contained bottled water, not water from the city pipes. Our digital xray sensor dramatically reduces the risk of radiation exposure (as much as reduction of 70%) to our patient. In addition, our dentist uses handpieces with fiberoptic illumination and magnifying dental loupes for all dental procedures so that the dentist can see exactly the problems and focus to deliver quality work. We are a team of highly trained and skilled clinicians. We enjoy providing you with the quality dental care you deserve. We attend dental lectures, meetings, and dental conventions to stay informed of new techniques, the latest products, and the newest equipment that a modern dental office can utilize to provide state-of-the-art dental care. Also, being members of various professional dental associations helps us to stay abreast of the changes and recommendations for our profession. We understand how some patients feels uneasy about some dental procedures. Our entire team will make every effort to deliver optimal, personalized dental care to you and make your dental visit as comfortable and pleasant as possible. We build a foundation of trust by treating you as a special individual vital to our office. Digital Intraoral Scanner is a high-tech dental device that we have in our office that allows the doctor to scan, design and make the dental restorations, with superb accuracy. 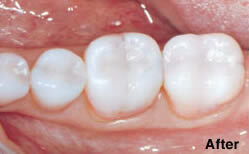 For the patients, they will experience better comfort, great fitting, natural-looking and durable dental restorations. 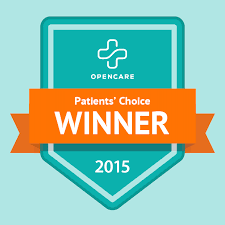 McClintock Family Dental has been recognized as one of the top dentistry practices in Tempe Arizona.